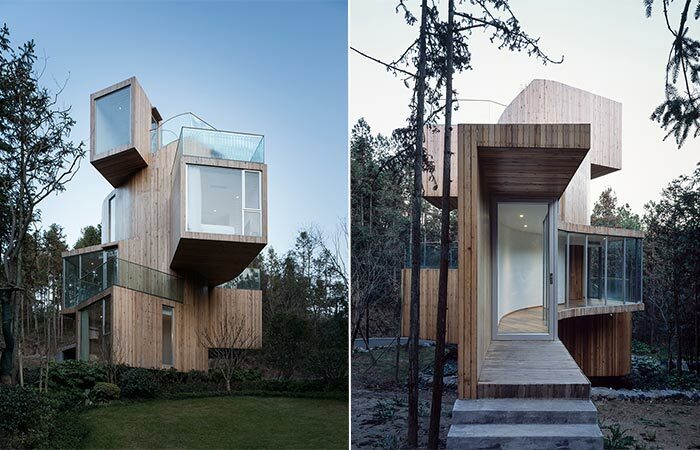 Created by Bengo Studio and located in China’s Anhui province stands a 120 square meters Tree House Hotel. 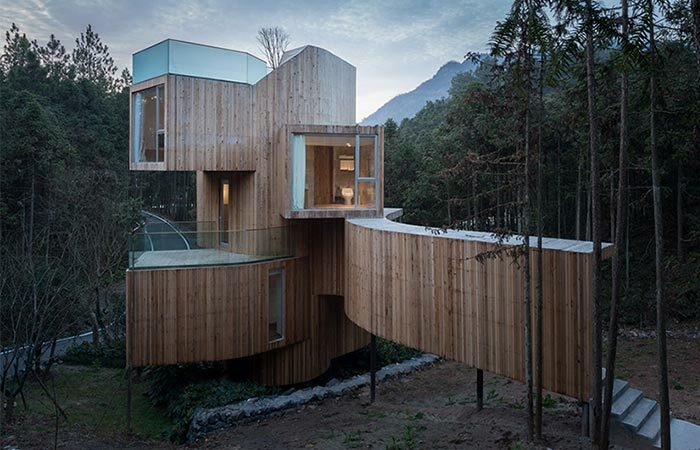 The most interesting thing is its design and construction – differently stacked timber volumes. 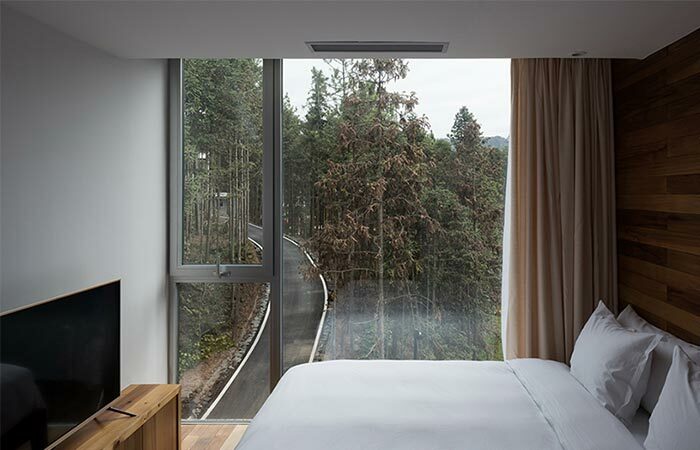 It’s also elevated above the forest floor of the Huangshan mountains and has a cool entrance- an enclosed glass corridor that leads inside the hotel. It’s around 20 miles west of Xiuning county and it features a spiral staircase that leads to different volumes and rooms. 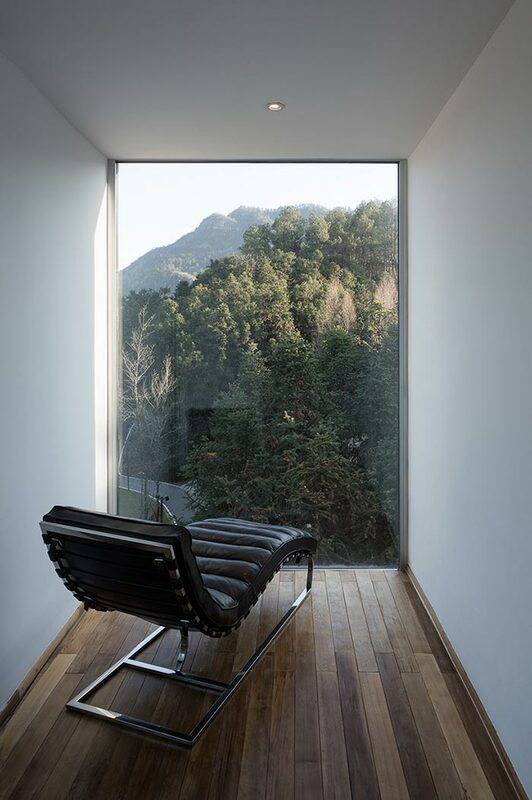 Speaking of the interior, the bedroom and bathroom are located at the lower levels while the highest volume serves as a landscape room. From this place, the guest can enjoy the surrounding and panoramic views. 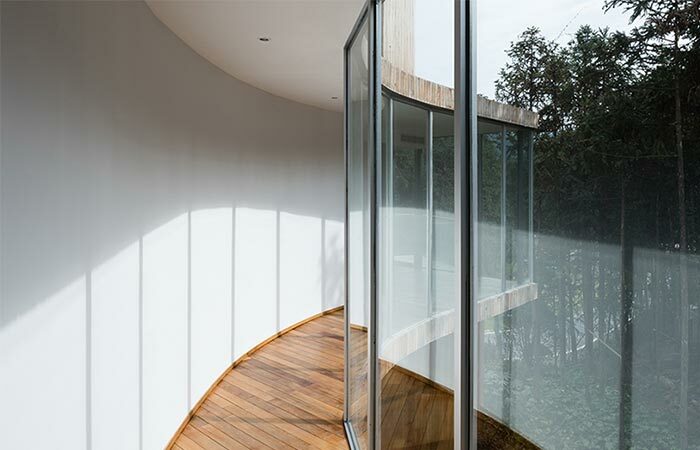 This Tree House Hotel is created by Bengo Studio and located in China’s Anhui province. It occupies a total of 120 square meters, all arranged in different wooden volumes. The enclosed glass entrance to the hotel. The bedroom and bathroom are on the bottom floors and the spiral staircase leads to the lounge area located upstairs. The lounge room with a view of the forest.